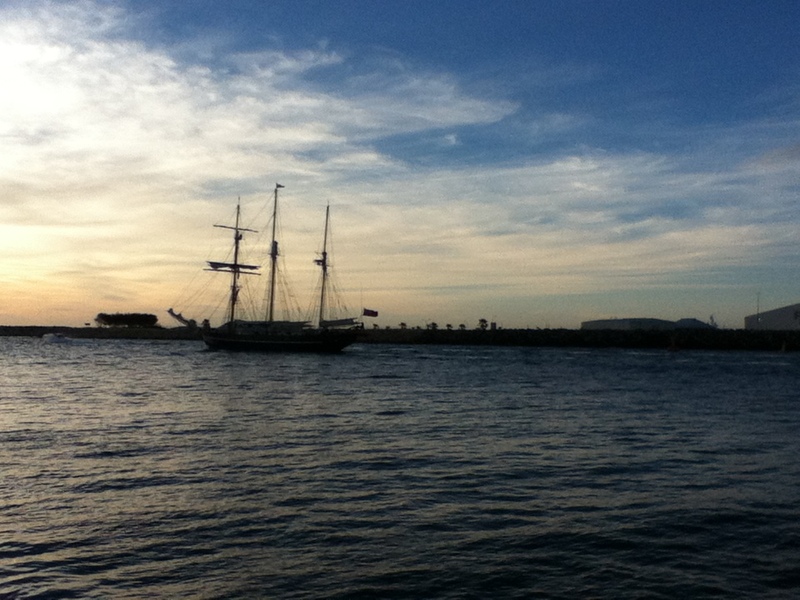 This shot is of a “tall ship” or Leeuwin II Sailboat / Yacht sailing out into the Sunset. You can book a three hour tour on one of these marvelous ships, run by The Leeuwin Ocean Adventure Foundation, from November until late April. 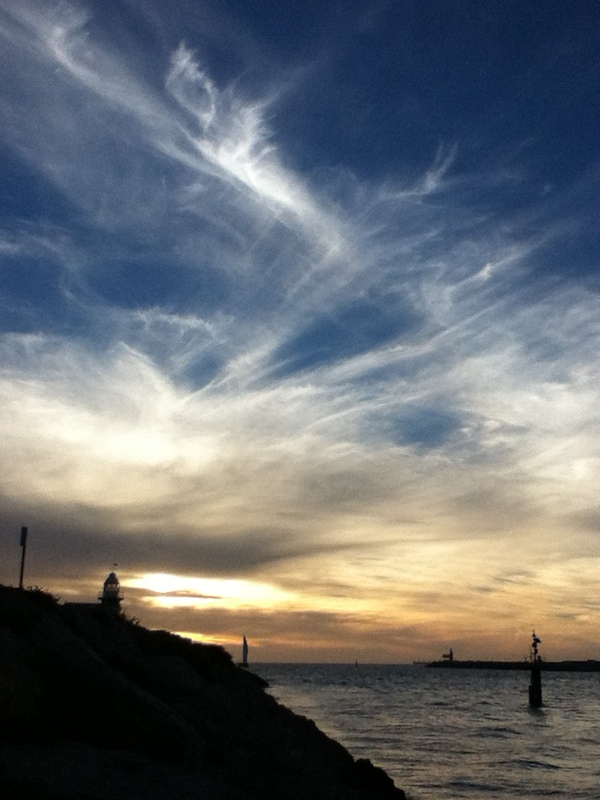 Gotta love Freo. 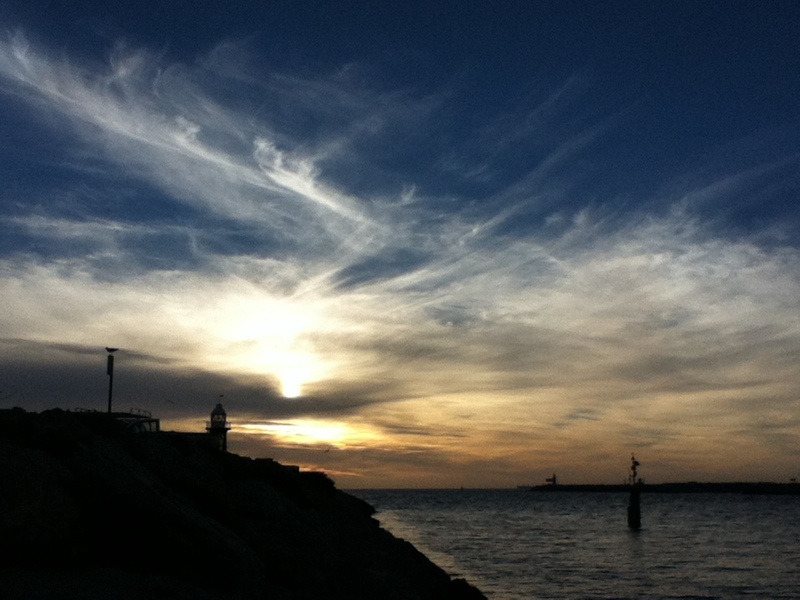 Fremantle is a city and a Harbour in Western Australia, located at the mouth of the Swan River. 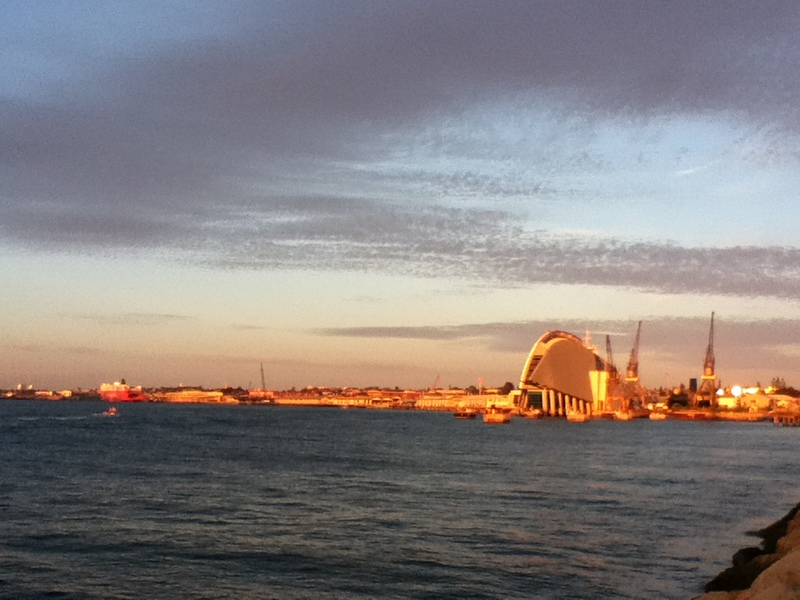 Fremantle Harbour serves as the port of Perth, the state capital. 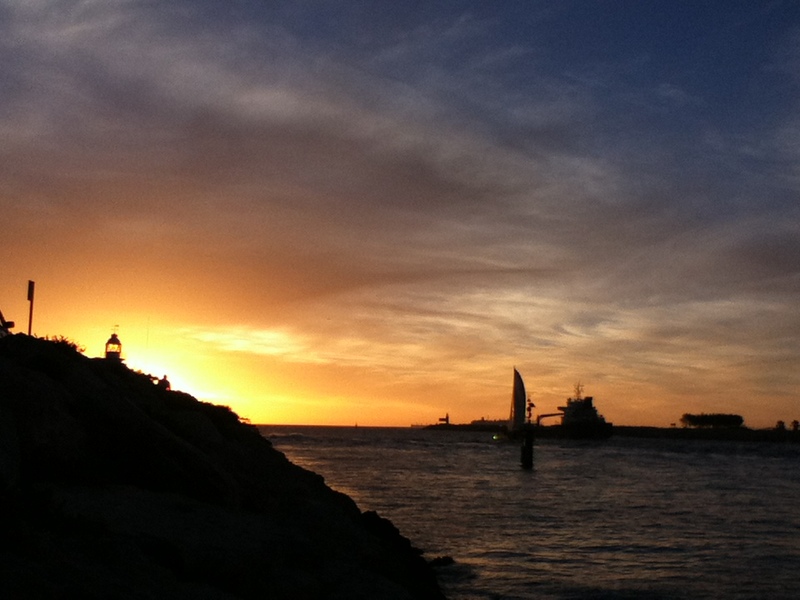 Fremantle was the first area settled by the Swan River colonists in 1829. 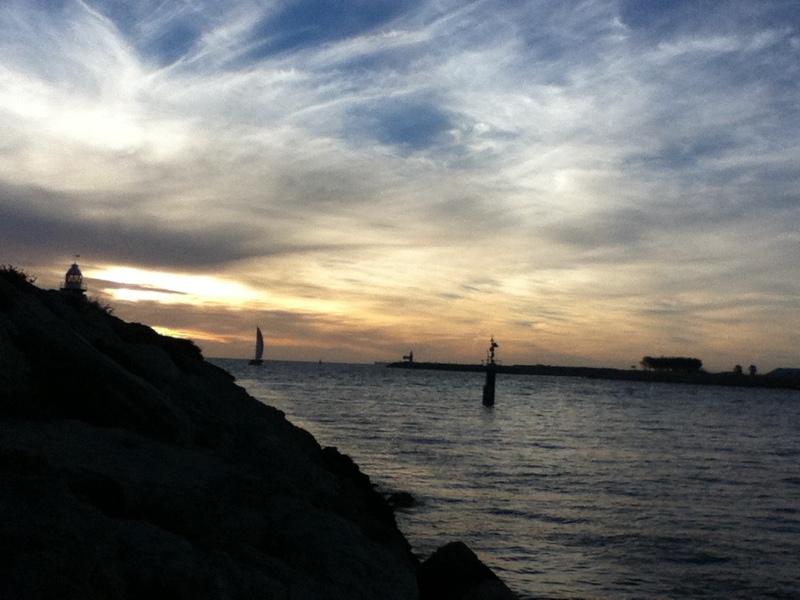 Fremantle became a city in its own right by 1929, and in 1987 it was the host city for the Americas Cup sailing challenge. You can see it on Google Maps by clicking HERE. Visit the Fremantle Visitor Centre website for lots of great information about Freo. If you are going to Freo, some good places to visit are – the Fremantle Markets, the Fremantle Prison, Rottnest Island via a Ferry leaving Freo, the W.A. Maritime Museum, and of course, the “Cappucino strip”, the fishing spots, and the many art and cultural activities that abound throughout the year. This page of the Fremantle Visitor Centre site will give you some details. The fresh sea breeze known as the “Fremantle Doctor” is a draw-card to Sandgropers (residents of W.A.) in days such as these, of hot and humid weather. 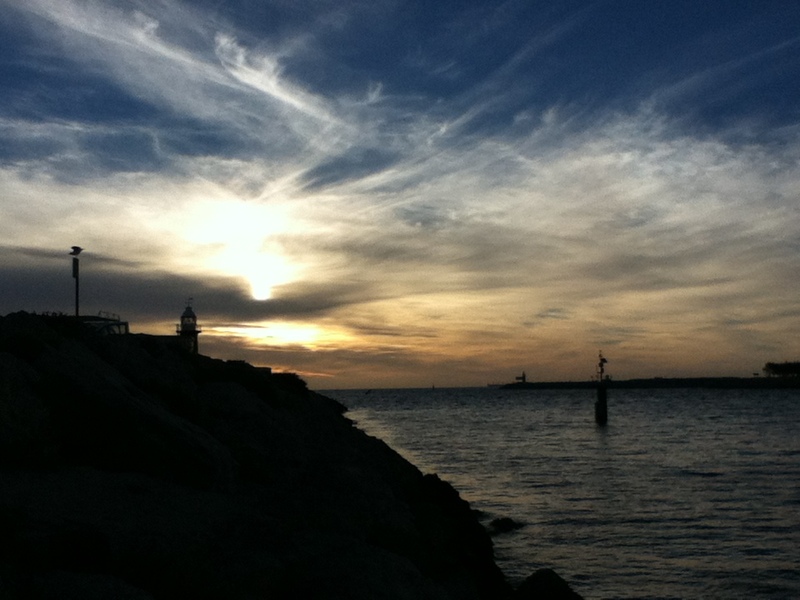 So, on Friday 7 March 2014, my partner and I once again set off on an enjoyable fishing expedition to Freo, choosing the South Mole as usual, accessible via Fleet St. A “mole” in harbour terms is made up of large, rough, tumbled stones. You can fish off either side of the South Mole. If you fish off the northward side facing toward the North Mole it is less windy (because it is sheltered by the North Mole) than fishing off the other side, facing out to the open sea Southward. You can of course zoom right into the Google Map mentioned above, to see Fleet Street. We arrived about 5.30pm and left at 7.00pm, and in between I used my iPod to take photos. The sunsets of the Moles are spectacular, something to memorise and to meditate upon if you have photos of it. So here are the photos that I took, to share with readers. Please note that all photos are copyrighted to me, Celine or “Star Wise”. Do not use them on a Website or commercially without permission. You may, however, save any Photo to your own PC for your personal viewing and/or to set as your Computer Desktop Wallpaper. If you zoom right in, you will see the Leeuwin Sailboat just at the tip of the South Mole. 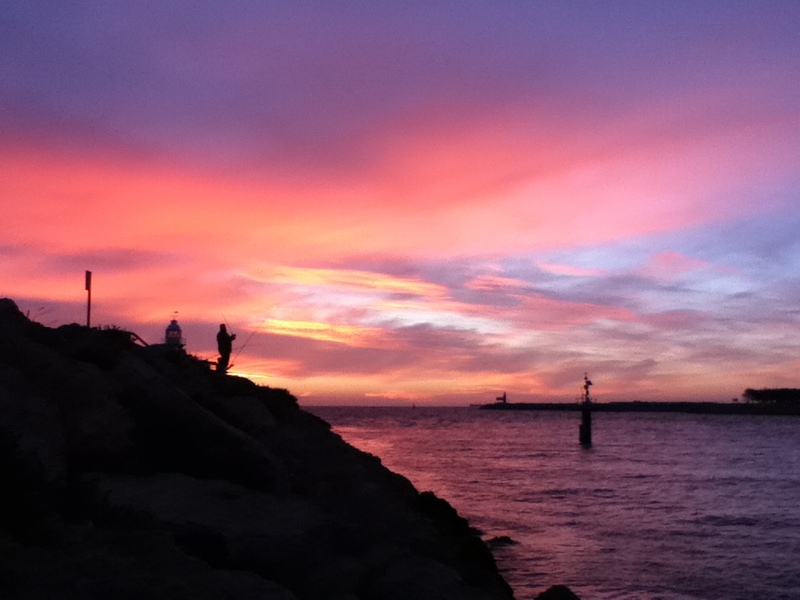 Categories: Art, Beauty, Culture, Nature, Out-doors, Peace, Photography, Recreation, Spiritual, Travel | Tags: fishing, fremantle, south mole, sunsets, tall ship, western australia | Permalink. Hi Harmony, thank you very much for commenting. 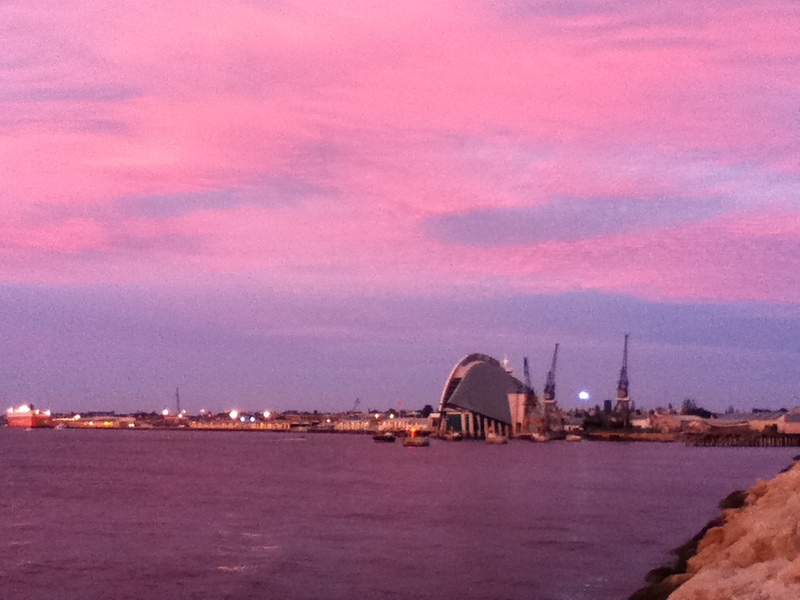 My fav photo is the pink sunset. I’m glad you like the photos.